On the 26th (Sun), take an in-depth tour of Museum of the Plains Indian, admire the engineering at Buffalo Bill Dam, then have some family-friendly fun at Cody Firearms Experience, LLC, and finally steep yourself in history at Old Trail Town. 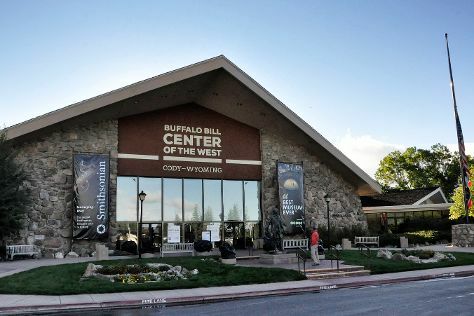 On the next day, get engrossed in the history at Heart Mountain Interpretive Center, see the interesting displays at Cody Dug Up Gun Museum, then get engrossed in the history at Buffalo Bill Center of the West, and finally examine the collection at Cody Firearms Museum. To find where to stay, maps, ratings, and more tourist information, read Cody trip itinerary maker app . Use the Route module to see travel options from your home to Cody. Expect a daytime high around 62°F in May, and nighttime lows around 42°F. Cap off your sightseeing on the 27th (Mon) early enough to go by car to Yellowstone National Park. Start off your visit on the 28th (Tue): take in the dramatic scenery at Undine Falls, get to know the fascinating history of Beaver Ponds Loop Trail, and then explore the stunning scenery at Grand Canyon of the Yellowstone. On the 29th (Wed), you'll have a packed day of sightseeing: contemplate the long history of Fort Yellowstone Historic District, then appreciate the extensive heritage of Uncle Tom's Trail, and then explore and take pictures at S Rim Trail. 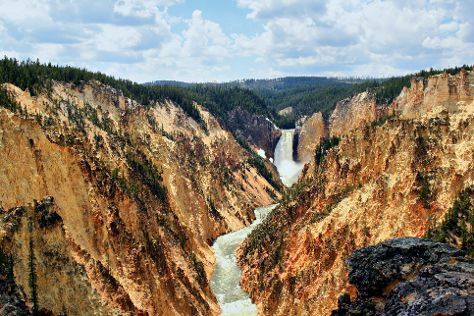 For traveler tips, maps, more things to do, and tourist information, use the Yellowstone National Park trip planner . Drive from Cody to Yellowstone National Park in 2.5 hours. Plan for little chillier temperatures traveling from Cody in May, with highs in Yellowstone National Park at 53°F and lows at 27°F. Wrap up your sightseeing by early afternoon on the 30th (Thu) to allow enough time to drive back home.